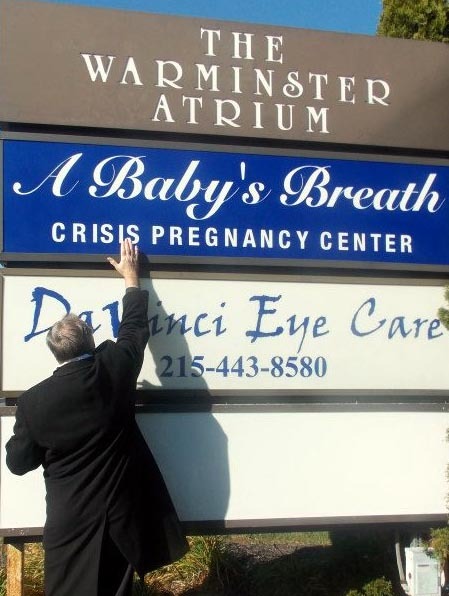 A Baby’s Breath Crisis Pregnancy Center in Warminster placed and blessed its new sign on Saturday, Nov. 17, just six months after signing the lease for the center across the parking lot from a Planned Parenthood facility. Msgr. George Majoros, pastor of St. Jude Parish in Chalfont, led the blessing of the sign, which includes a message board that encourages people to be a light for life. 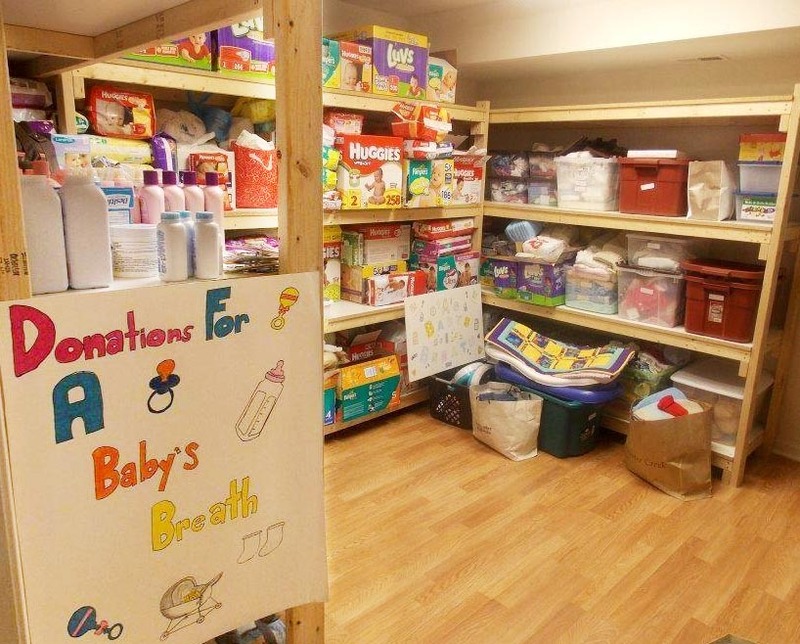 A Baby’s Breath will hold an open house Dec. 8 from 11 a.m. to 1 p.m. at the center, located at 600 Louis Drive in Warminster. Awesome – what a great location to offer women a true “choice”!